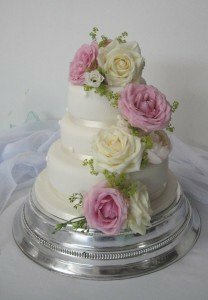 You may have noticed I am trying to put this years weddings into categories rather than by the month and as the title suggests this is the pink category. However some may overlap and appear in two posts but hey if they are pretty who cares! Thanks to Steve at Steve Fuller Photography – http://www.stevefullerphoto.com. 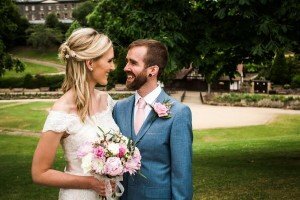 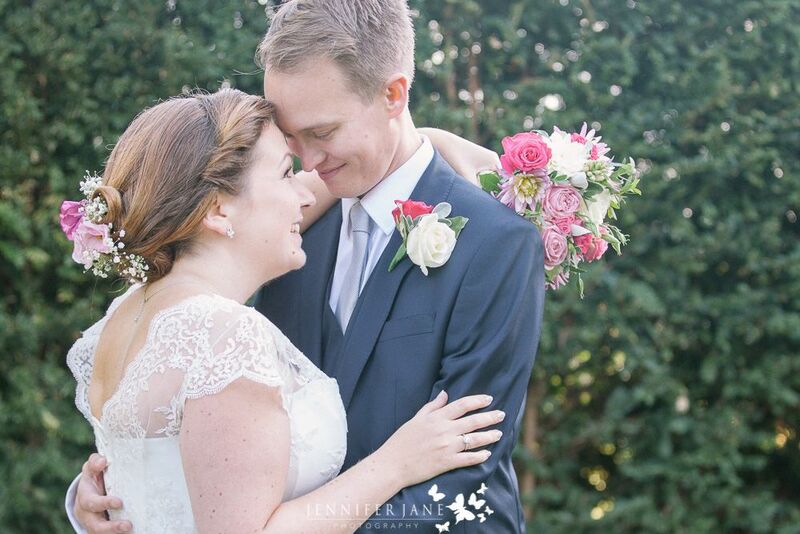 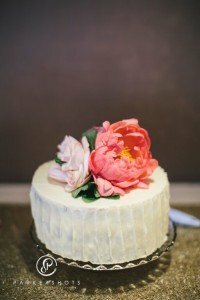 Thanks to Jenniferjanephotography – http://www.jenniferjanephotography.co.uk/kent-wedding-photographer-wadhurst-castle-wedding – click here to see more of the wedding. 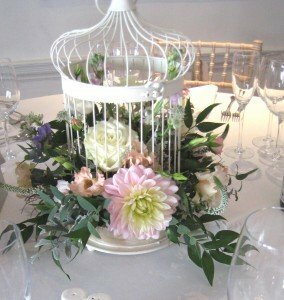 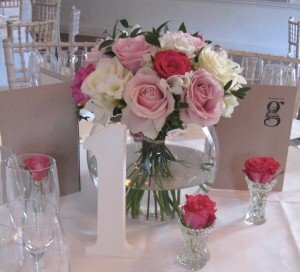 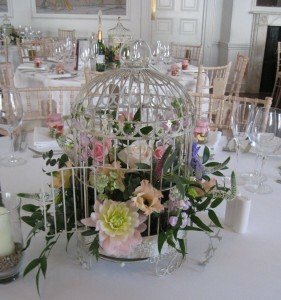 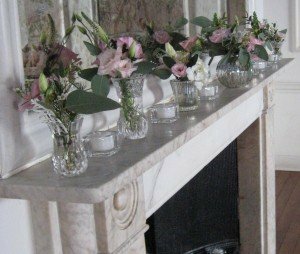 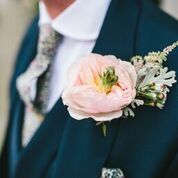 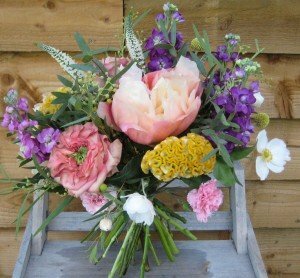 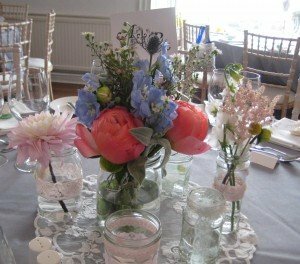 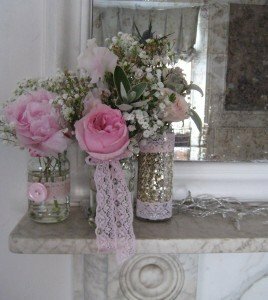 It is difficult to know where to draw the line on colour as we had a number of other weddings with pink flowers but more of a mixed bunch so that is where I think I will put them. 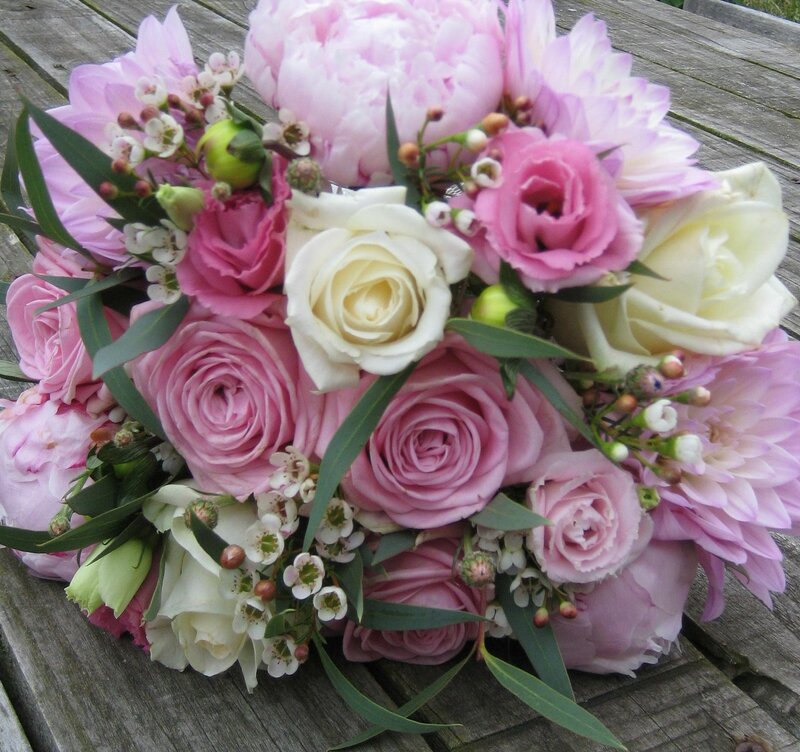 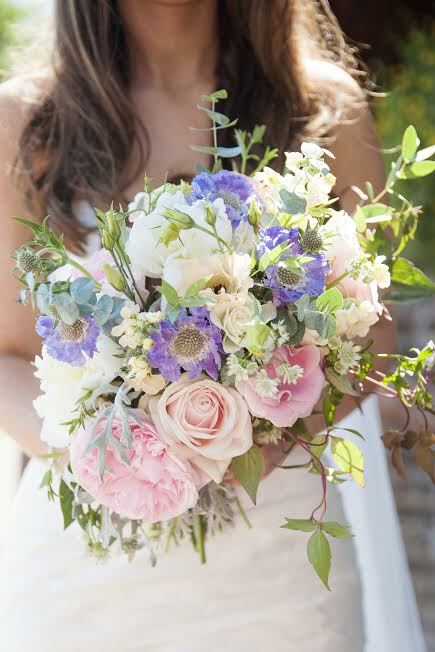 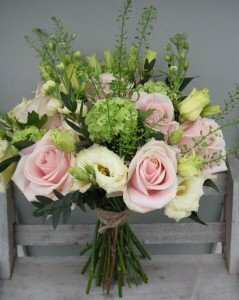 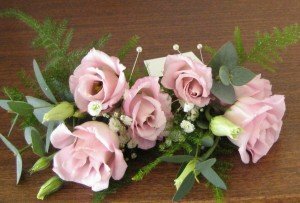 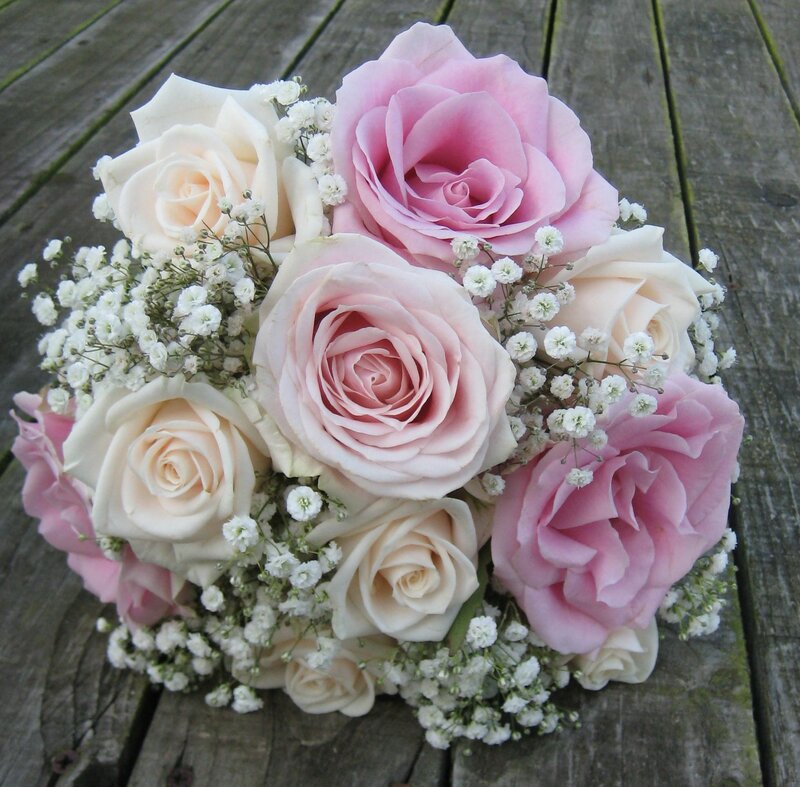 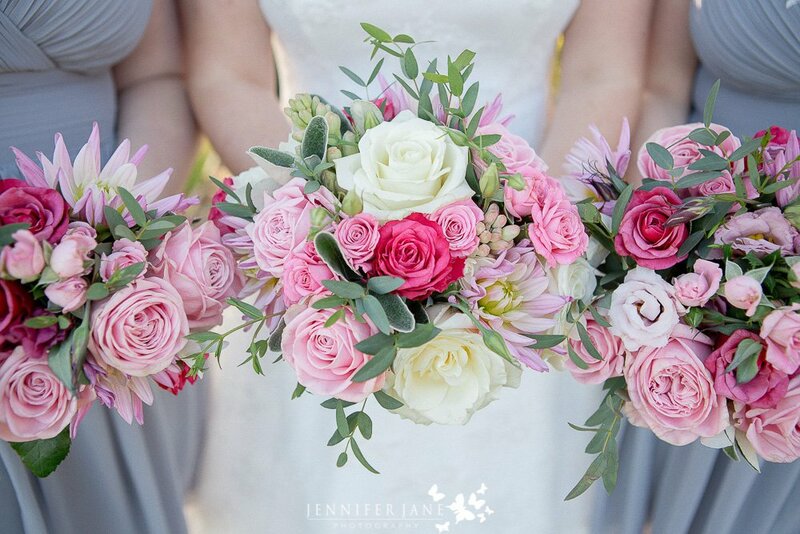 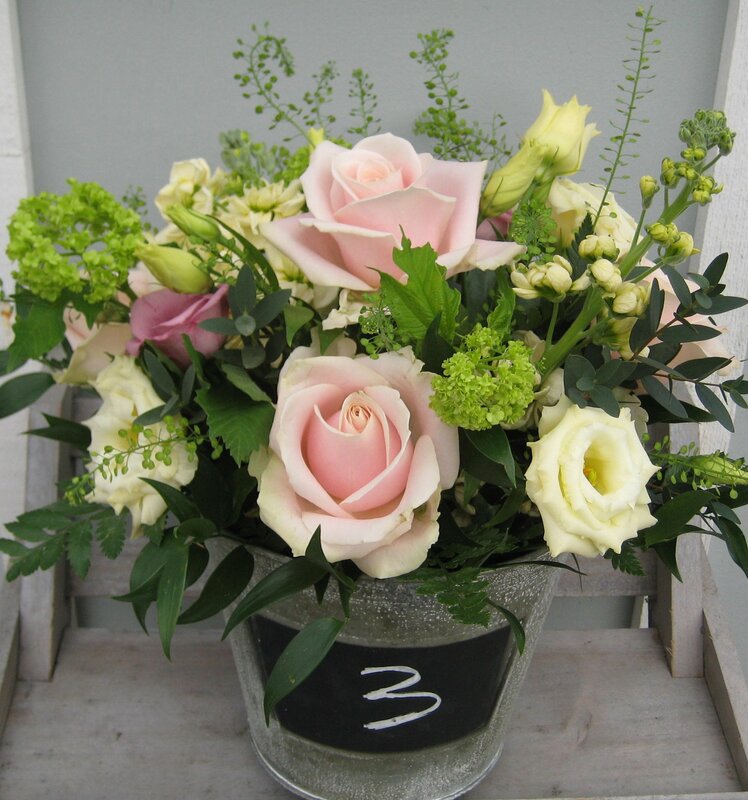 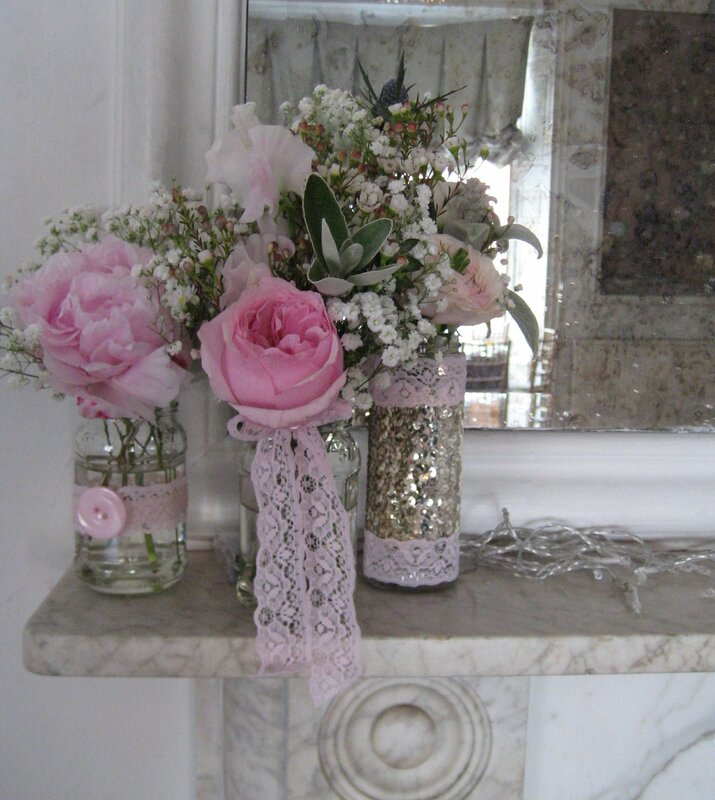 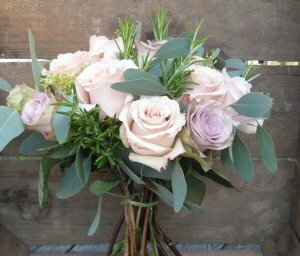 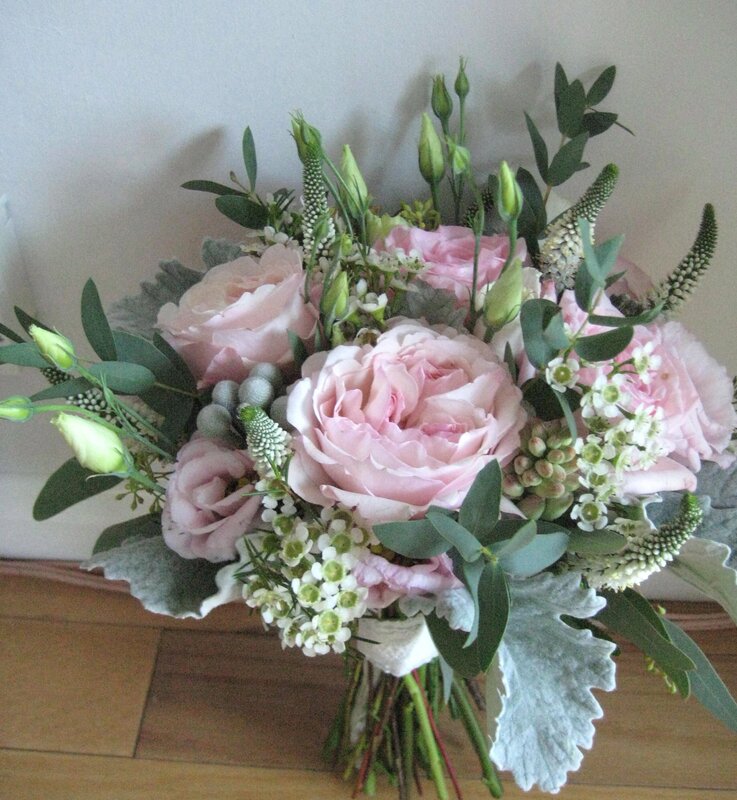 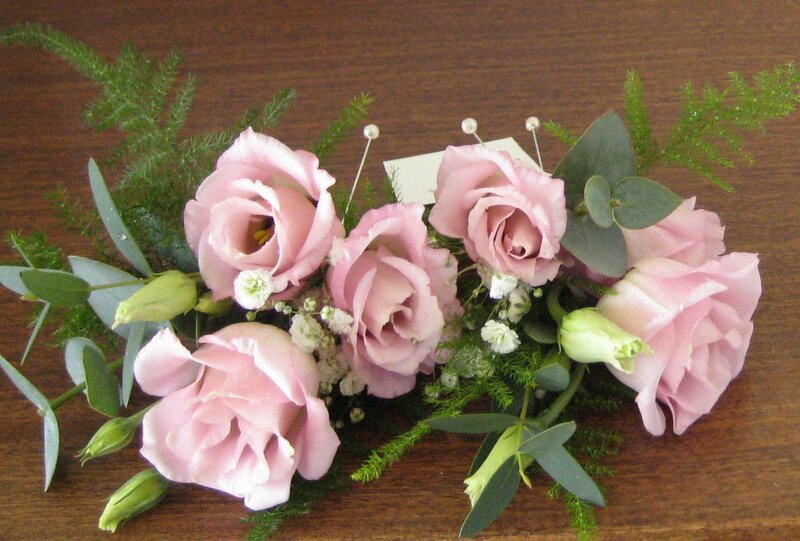 But to finish up here is a lovely ‘antique’ rose bouquet with mixed muted pinks, rosemary and eucalyptus foliage. 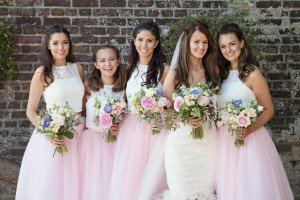 There is a great blog about the wedding and more images if you go to http://www.nikismakeupvault.blogspot.co.uk written by the bride’s daughter. And from The Town Hall to the reception with my images. 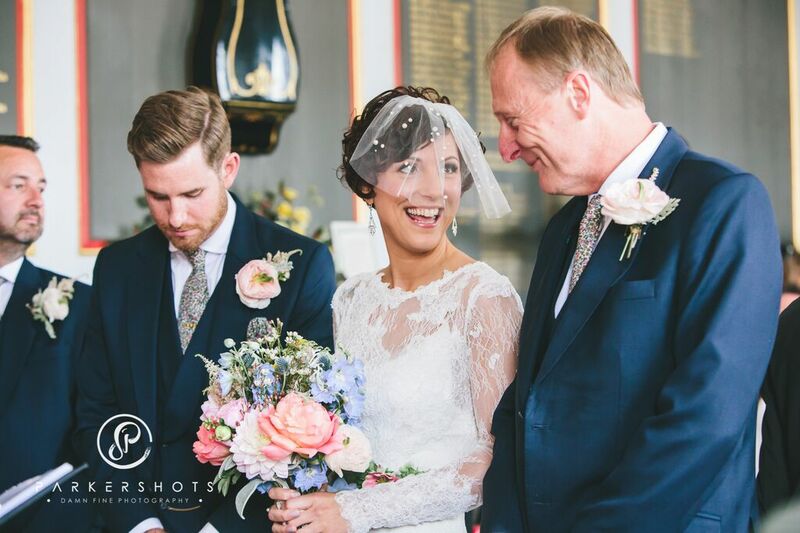 And on to August when Gary and Lauren got married in St. Mary’s Church with the reception at the George. 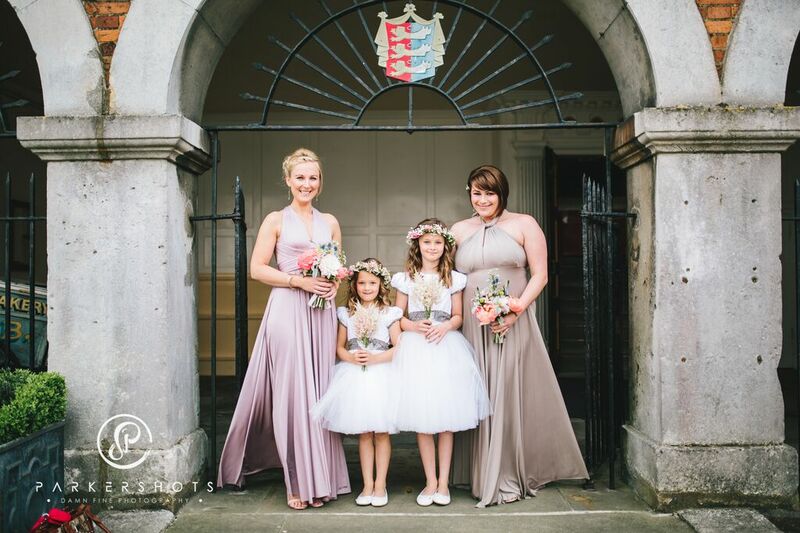 The lovely photo’s here are by Kerry Ann Duffy Photography who really captured the spirit of the day. 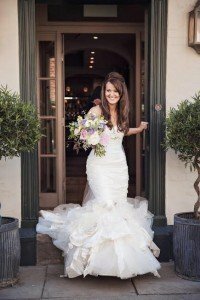 Lauren looks amazing as she steps out ready for the day! And another perfect day, do take a look over on kerryannduffy’s blog too for more of this one. We have done a few more at The George but only have my photo’s – Elen & Tom back in June went for coral and ivory, I am hoping to get some of their photo’s as Elen wore a red dress and it is always good to see something different! 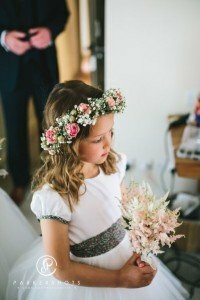 Again I am hoping to have some of the official photo’s as the brides neice made a gorgeous flower girl. 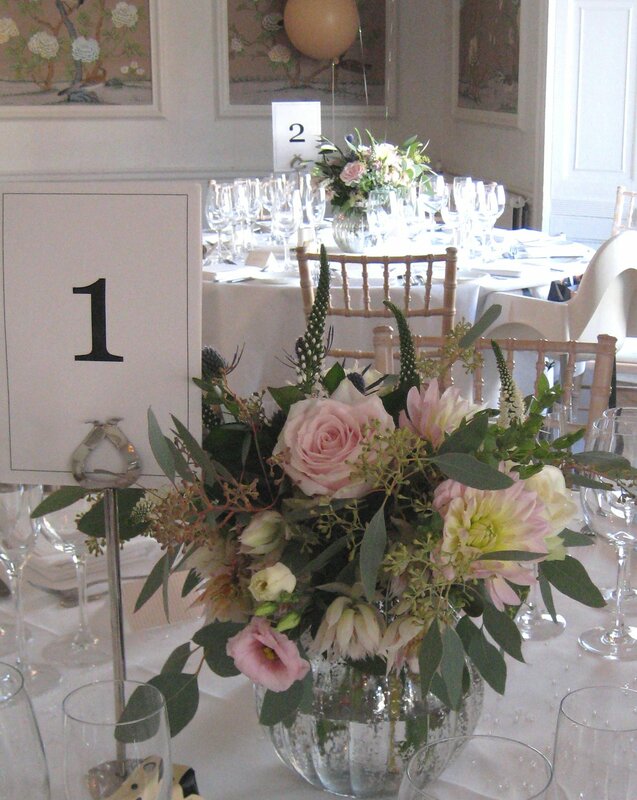 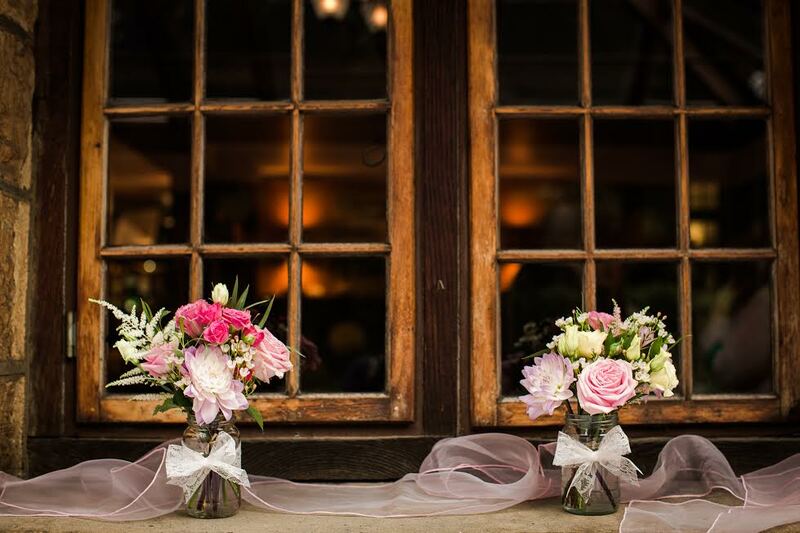 We have another couple of weddings to go at this lovely venue in December which will be featured next year. 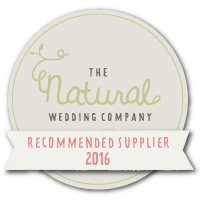 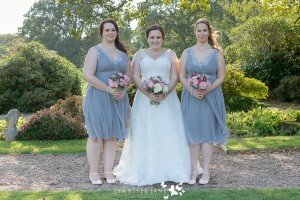 Having done the last post and looking through this years weddings generally, a colour I over looked in my predictions was grey! 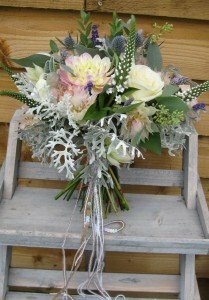 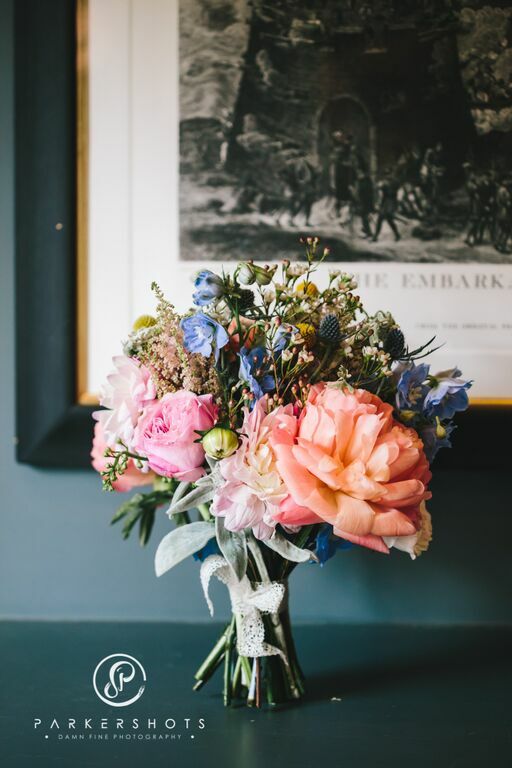 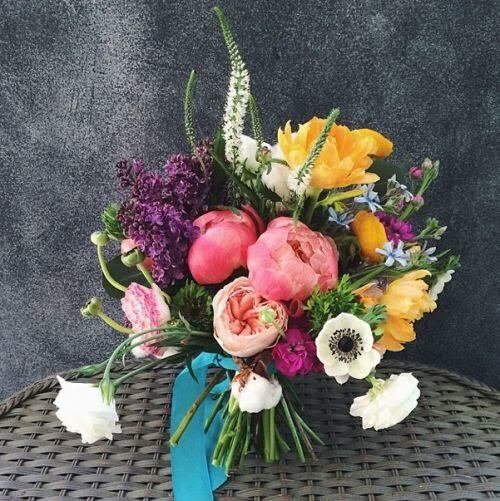 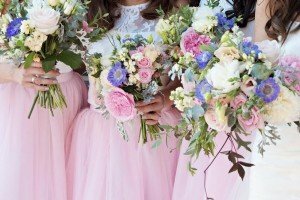 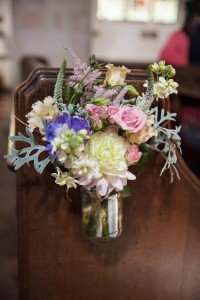 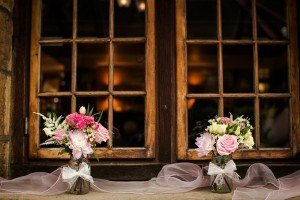 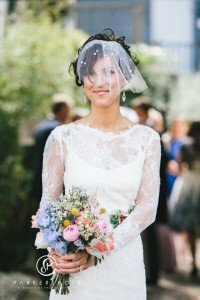 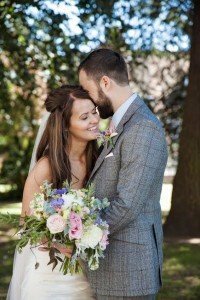 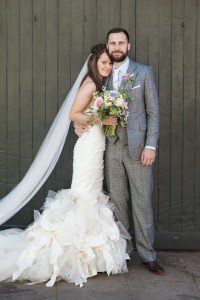 It has popped up time and time again in varying shades for bridemaids and bouquets and you can see why as it is very versatile going so well with pinks, blues, mauves. 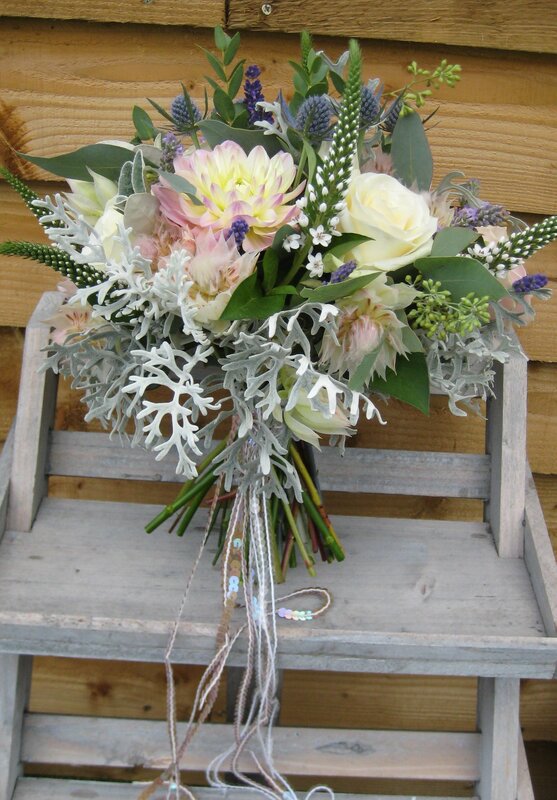 And don’t forget silver and white which are particularly good as we go towards winter! There are numerous grey foliages which give great texture too. 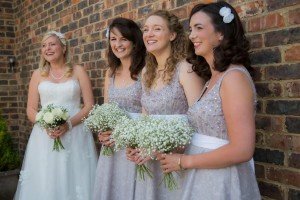 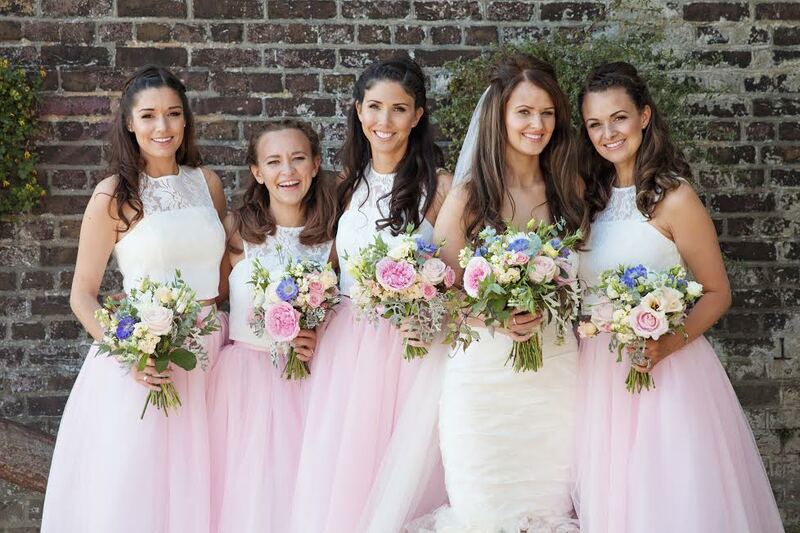 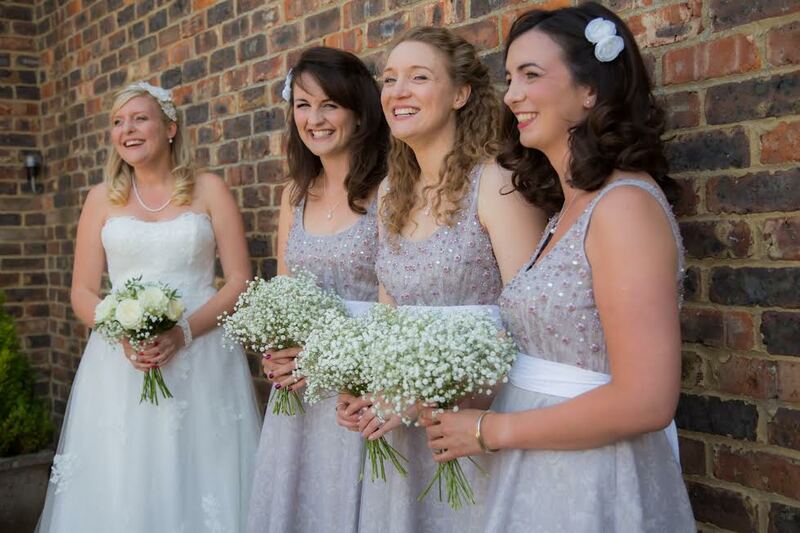 Sally and her bridesmaids at Wadhurst Castle – thanks to Jen at Jennifer Jane Photography for the image. 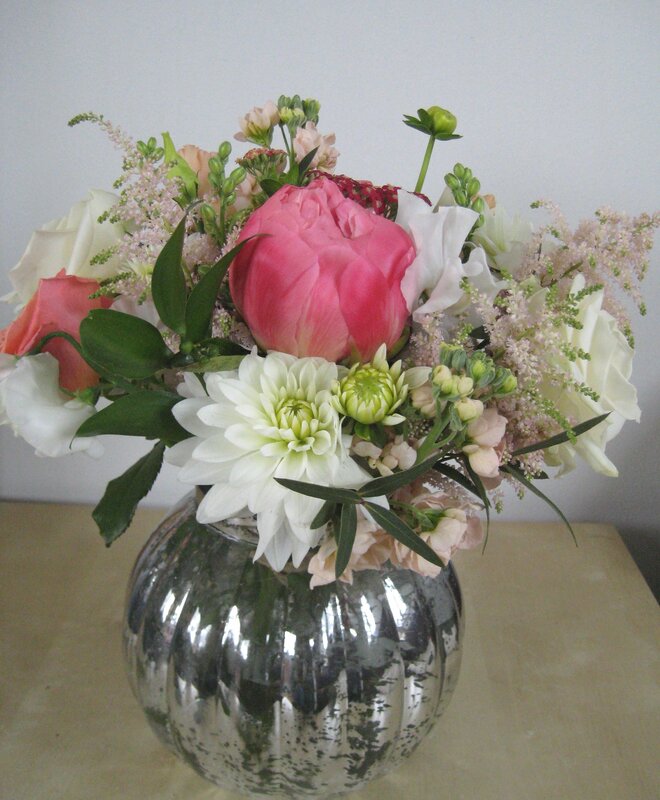 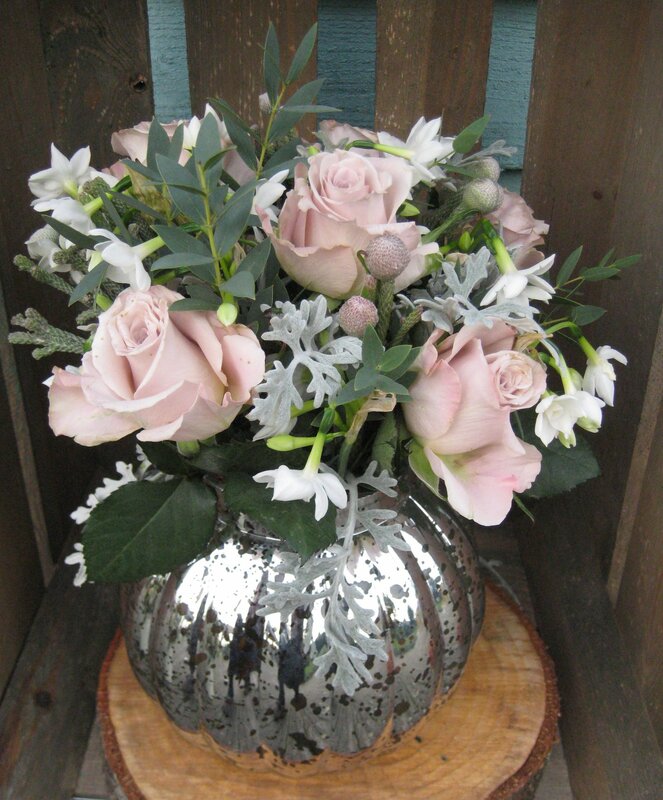 Here we have the grey foliage and silver vase which is extremely useful as the images below show! Love the Dennis Bowden mimosa in this one, a real favourite of mine. There will be more grey and silver before the year is out and that’s a fact. In my introduction to this years weddings I mentioned how the less compact bouquet has become popular. 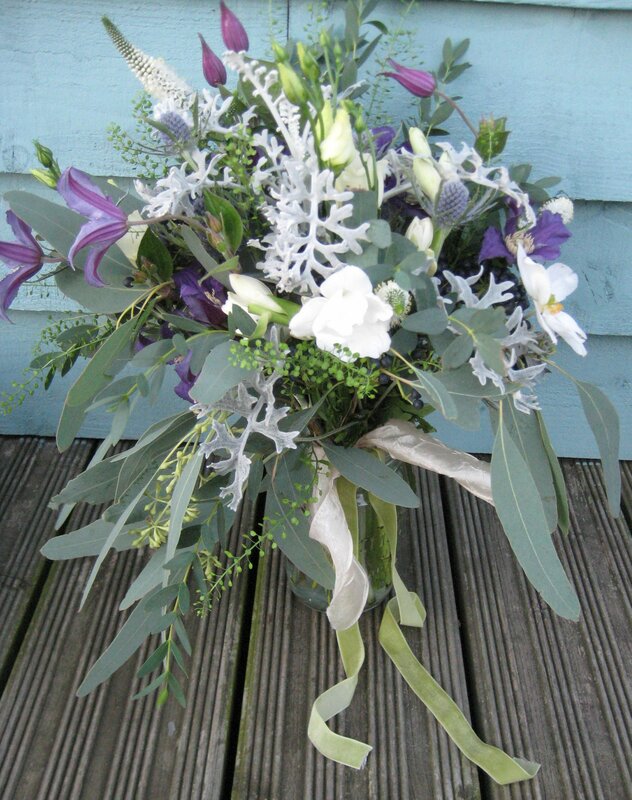 It is less structured and very natural and works wonderfully with eucalyptus foliage. 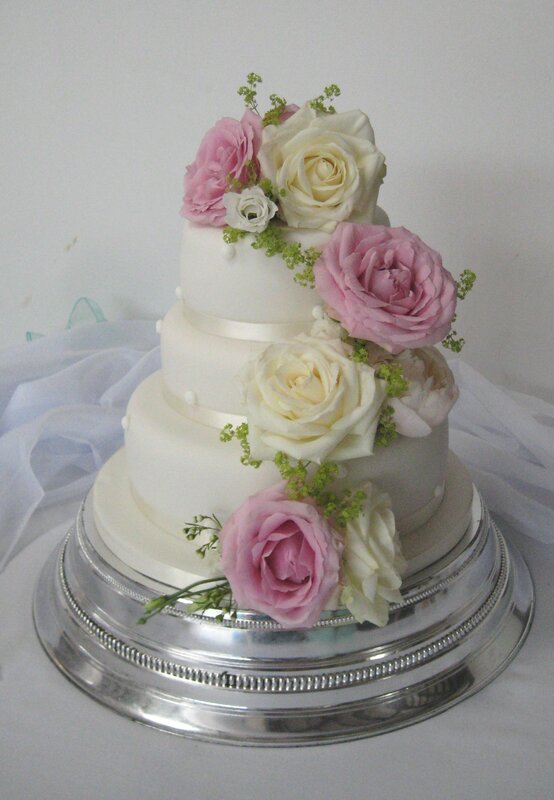 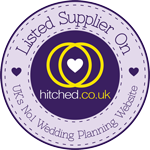 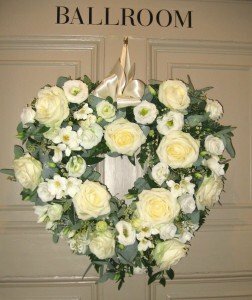 Below are a few created for actual weddings and wedding fairs. 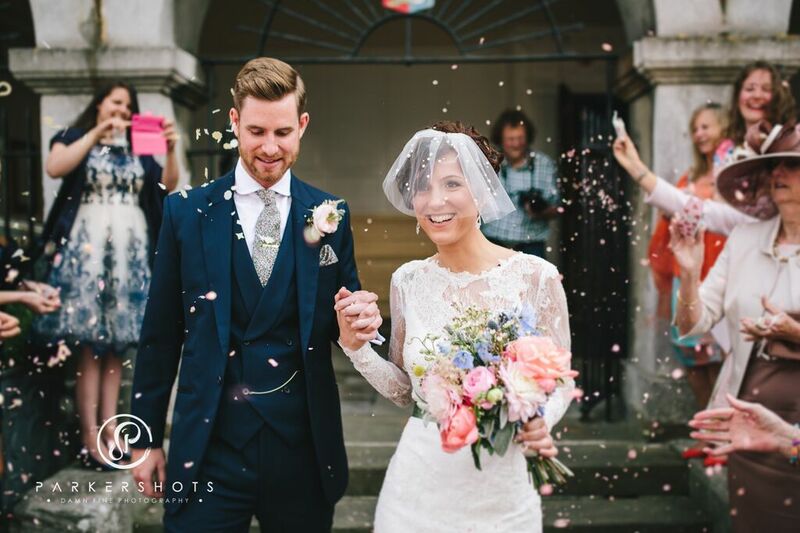 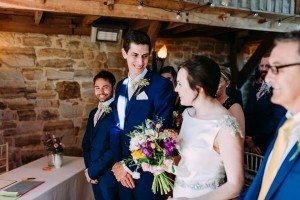 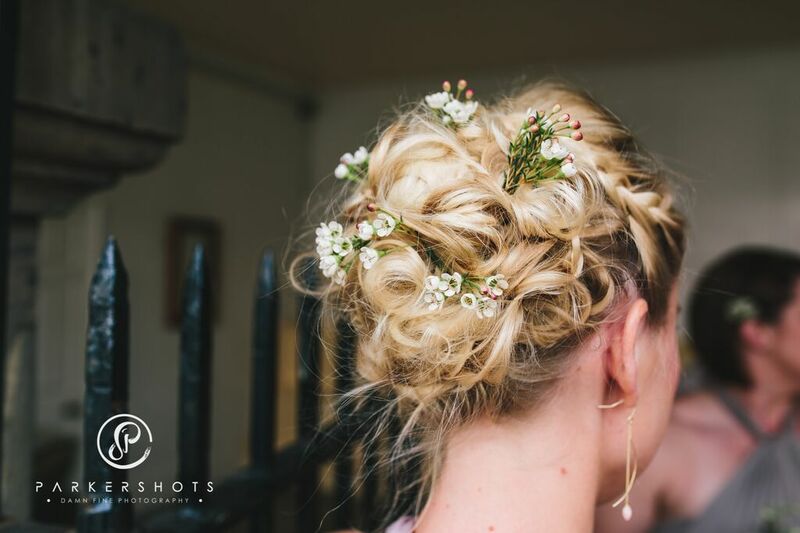 To start with is the image Charlotte sent to me, the bouquet created and it in action at Swallows Oast when she married Tom in August. 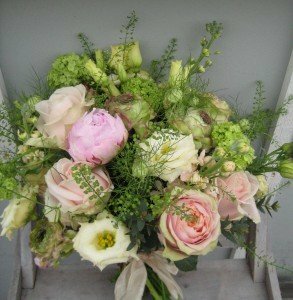 We now have some lovely pastel bouquets in blush, greys, mauves and white. 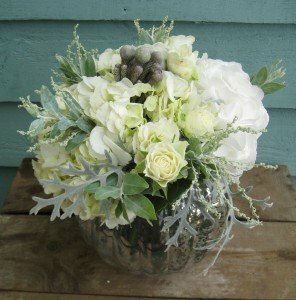 And to finish with a warm, seasonal bunch in creams and browns with scabious seed heads and photinia foliage. 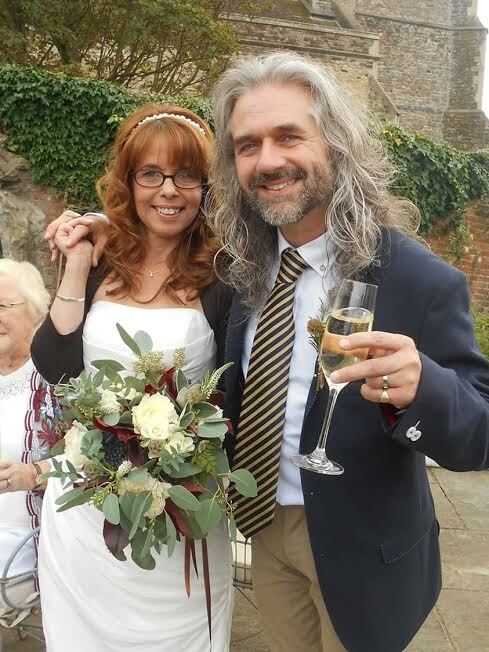 Firstly before delivery and then at the wedding of Karen and Dominic at The Old Rectory in Hastings in October.